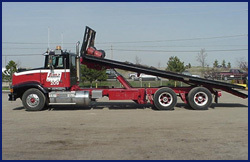 Milliken Steel is proud that all deliveries are handled using Scott-Woods Transport Inc.s proprietary Tilt 'n' Load trucks. 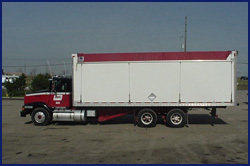 This unique delivery system means no downtime from the task at hand caused by the need to manually unload. 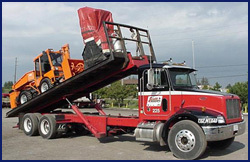 The systemtotally eliminates the need for dock level loading making it the most versatile piece of equipment in transport today.